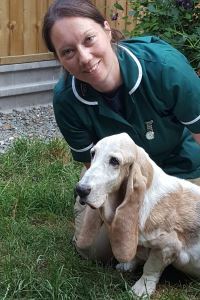 Gwen graduated from Bristol University in 2006 and has worked at Priory Close Vets since 2010. She gained her PgC in Veterinary Nursing Rehabilitation in 2018. Outside of work, she has 3 Bassets, 2 cats and a tortoise which keep her busy. She is a black belt in Judo and is a qualified Judo coach. 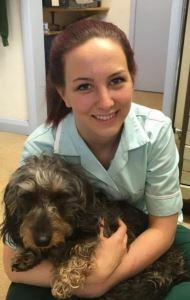 Kate began her nurse training here at Priory Close Vets after obtaining her VCA qualification. 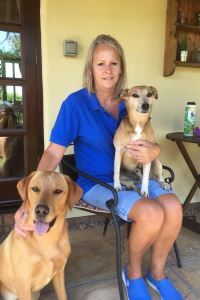 She has a particular interest in animal behaviour and training and enjoys training her three excitable collies. In her spare time she enjoys long countryside walks and horse riding around the Quantocks. 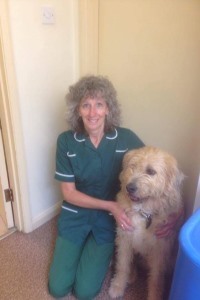 Kim qualified as a veterinary nurse in 1978 and has worked at Priory Close Vets since 2007. When she is not working, Kim enjoys gardening, riding and walking her hound Elsa. 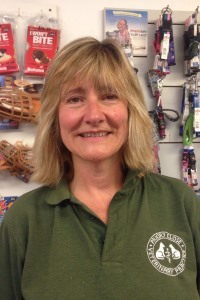 Jacqui qualified as a veterinary nurse in 1981 and has been working at Priory Close Vets since 1994. Jacqui has three grown up children and loves meeting up with them wherever possible. She also likes travelling with her husband. Jacqui’s hobbies include walking, gardening and piano playing. She has an adorable cat called Frodo. 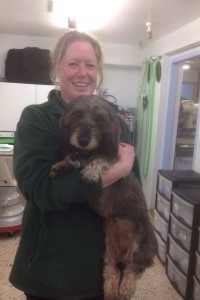 Tiffany has worked at Priory Close Vets since 1996 as a nurse and now as a receptionist. Her spare time is spent helping her partner on their farm in the Quantock Hills with the cattle and sheep, competing on her young horse Rocket, as well as walking her two dogs, Blue the lurcher and Winnie the dachshund. Erica is one of our receptionists. She has worked at Priory Close Vets for about 10 months. This was a complete job change, as she previously worked for with families supporting them with their children. She now enjoys supporting families with their pets. She has a dog called Fox which she loves taking for walks, a cat called Tilly and three chickens. Emails may not be checked every day. If you want to make an appointment, or have an emergency, please phone the practice on 01823 271042.